If you hate the gym as much as I do – this chapter is for you. 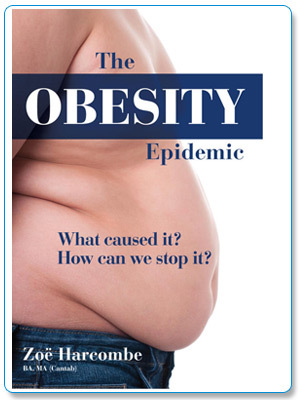 We will see if the obesity epidemic was caused by sedentary behaviour (that’s the politically correct term for laziness) and if exercise will solve the obesity epidemic. We will look at some fascinating studies and the UK and USA government’s own evidence. We will look at anecdotal evidence – we watch TV all the time, we have all these labour saving devices – that kind of thing. We will try to understand how we can possibly be seeing obesity in six month old babies – do they need to up their exercise regime? This is a highly readable and interesting chapter and it will be interesting to see what activity you decide to do after seeing the evidence.